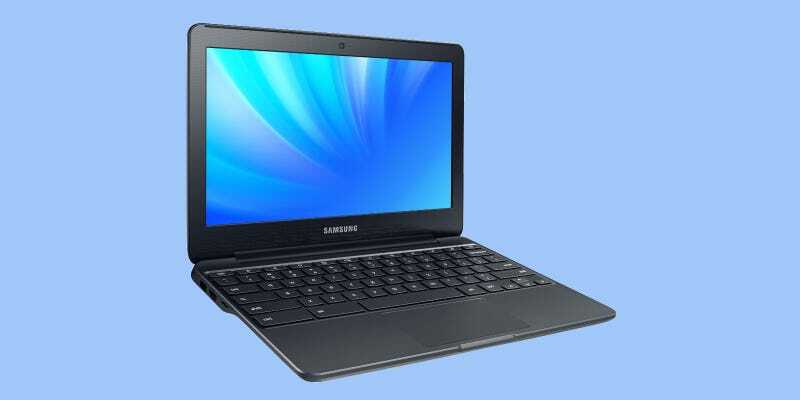 Samsung has quietly announced its new Chromebook 3, bumping the specs compared to its predecessors while also providing it with longer battery life and a metal body that can shrug off drops. After announcing its impressive Notebook 9 laptops with some fanfare, Samsung didn’t make much fuss over the new Chromebook. But for those after an affordable computer, it may still be an attractive proposition. The new laptop features an 11.6-inch display with 1366 x 768 pixels, and inside you’ll find an Intel Celeron N3050 CPU with either either 2GB and 4GB of RAM. Perhaps most interesting, though, is the extended battery life, up from 8.5 hours on the last model to a respectable 11 hours, and a “reinforced metal body adds durability against drops and spills.” The computer weighs 2.5 pounds and measures in at 0.7 inches thick. The Chromebook 3 will be available “early 2016” according to Samsung, though there’s no word on pricing. Its predecessor cost $400.